More than 6,000 California workers in munitions, manufacturing and other industries have elevated levels of lead in their blood that could cause serious health problems, according to a new report from the state’s public health agency. The report, containing the results of tests conducted between 2012 and 2014, comes as the state’s workplace health and safety agency, Cal/OSHA, is considering a major update of its safety standards for workplace lead exposure for the first time in decades. The current standards are based on 35-year-old medical findings, which at the time did not recognize the dangers of even low-level exposure to lead. More recent science shows chronic, low-level lead exposure can cause lasting harm. “It doesn’t surprise me. This is a huge problem,” said Doug Parker, executive director of Worksafe, a worker health and safety advocacy organization based in Oakland. “Clearly, there haven’t been adequate actions taken” by some employers, he said. Lead is a naturally occurring element. The soft gray metal and its various compounds have been used in many products, including pipes, paint, batteries, ammunition, industrial equipment and gasoline. Workers can be exposed to lead in the form of dust, either inhaled or swallowed, or by handling lead-tainted items. Most public health actions have focused on protecting children from lead exposure and quickly treating those who are exposed, since the metal can severely impair their development. But adults also can face serious health problems from lead exposure, including heart disease, reproductive problems, cognitive difficulties and kidney failure. Some workers exposed to lead dust in the workplace have unwittingly carried it home on their clothes, exposing their families to it. The authors of the report examined data from the California Occupational Blood Lead Registry, which tracks workplace exposures. From 2012 to 2014, 38,440 workers had their blood tested for lead, and 6,051 workers were identified with an elevated level of 5 or more micrograms of lead per deciliter (about 3.3 ounces) of blood. Most of these workers were men between the ages of 20 and 59 and had Hispanic surnames. Many lived in Southern California, particularly in Los Angeles, Riverside and San Bernardino counties. The California Department of Public Health, which released the report last month, did not make an expert available for comment. About 14,000 of the workers had two or more blood lead tests, which showed about a fifth of them had elevated blood lead levels, according to the report. More than one elevated blood test suggests chronic exposure linked to health problems, the researchers noted. About 60 percent of workers with higher exposures — above 10 micrograms per deciliter of blood — worked in manufacturing, for companies that make and recycle batteries, aircraft and aircraft parts, ships, plumbing and pipefitting fixtures, and metal valves, according to the report. 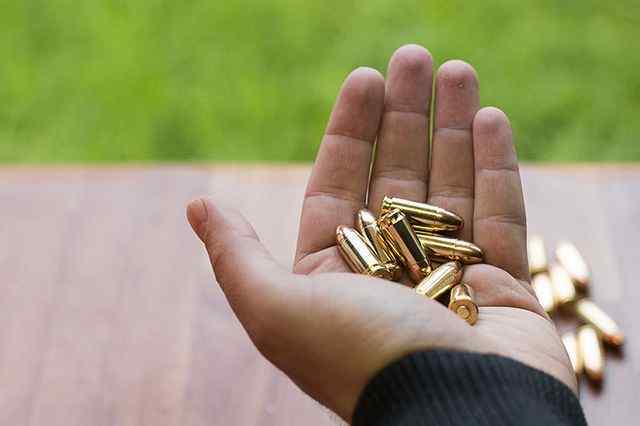 Workers with the highest blood lead levels — 40 micrograms or more per deciliter — mostly worked at shooting ranges or in ammunition manufacturing, gun repair, and firearm instruction, although some worked in other metal industries, painting and construction. A spokesman for the California Manufacturers and Technology Association Association said the industry group did not have a position on workplace lead exposure, and a representative for the Sacramento-based State Building and Construction Trades Council did not respond to a request for comment Monday. California requires employers to provide testing for workers if their work uses or “disturbs” lead (such as removing lead paint from a home) and to take steps to minimize lead dust and fumes. State researchers warned that there are many other workers who may be exposed to it but are never tested. While battery manufacturers and ammunition manufacturers may routinely test their workers, many other companies, including foundries and painting contractors, do not, the researchers noted. “The result of this large testing deficiency is that we do not know the true numbers of California workers with elevated” blood lead levels, the researchers wrote.